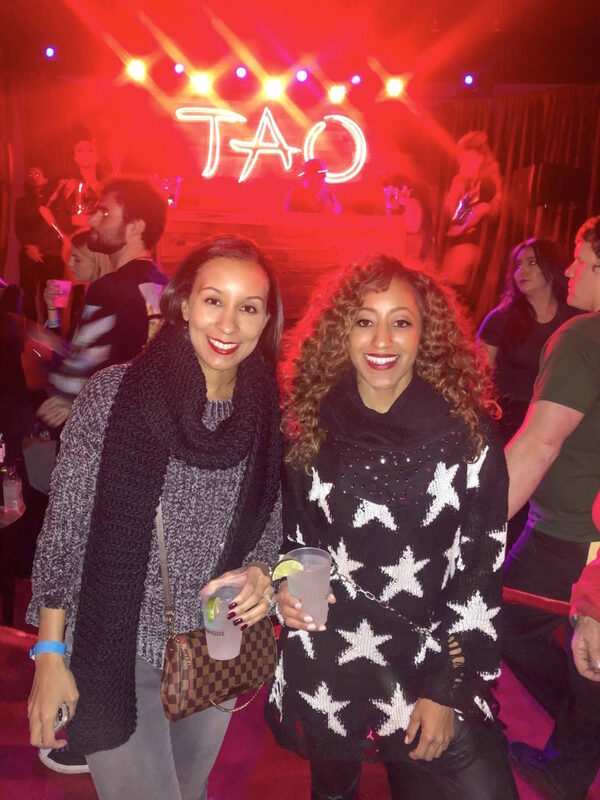 “Oh my god, that’s Michael B. Jordan!,” a Sundancer said as she caught a glimpse of the Creed II star hanging out at his booth at the exclusive Tao Park City pop-up at the Sundance Film Festival Friday night. “Who? Michael Jordan the basketball player?,” a woman standing nearby said in response. Leave it to Sundance to put things into perspective (and always add a little humor to our lives). Like Michael B., we headed to the famed pop-up nightclub at the Yard Friday night to party the night away. After making our way through the crowd at the door, we passed through the velvet red ropes, walked through the neon-lit archway, and entered into the party. 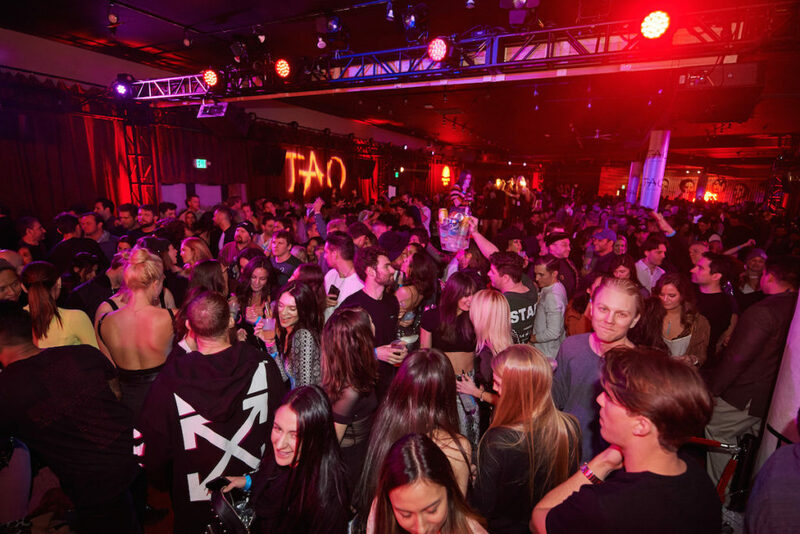 While every night of the Tao pop up is a good one, we live for the opening night of it. 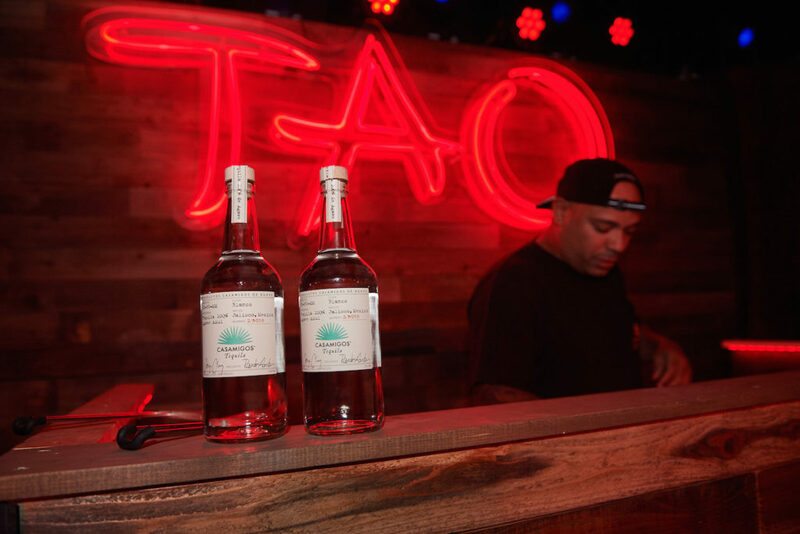 The energy, the vibe, the toasting with Casamigos cocktails…it is truly one of our fave ways to kick off the first weekend of the fest. As we grabbed Casamigos mules and palomas from the complimentary open bar, the thesp hung out and toasted cocktails with Lena Waithe, Kiki Layne, and more friends, and kept getting swarmed by women hoping to be invited to party with them too. Meanwhile, Gerard Butler, who was at the fest for his film Them That Follow soon arrived, as did Shailene Woodley, who shared a bucket of Stella Artois with friend and Shameless star Isidora Goreshter. As the night went on (the party went until 4 a.m. each night! 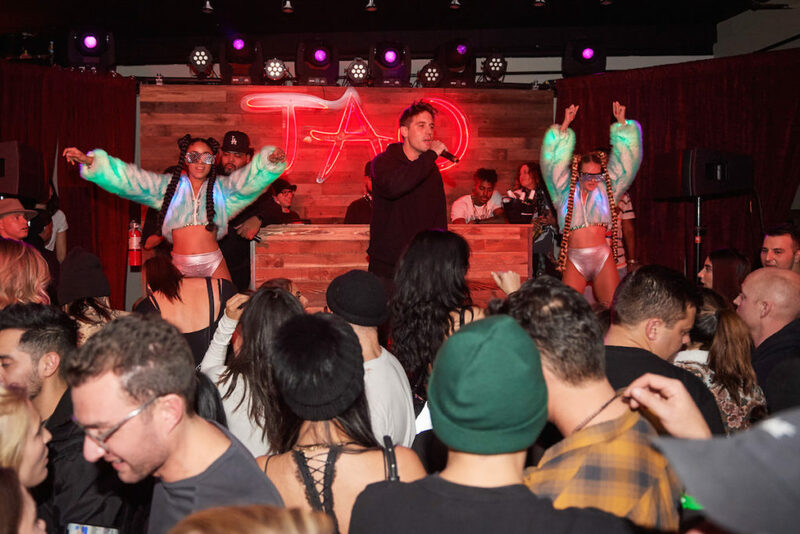 ), DJ Vice kept pushing out hip hop hits and G-Eazy popped up for a surprise performance and performed ‘My Year’ and ‘No Limit’, among other hits. Saturday night, there was more fun to be had. 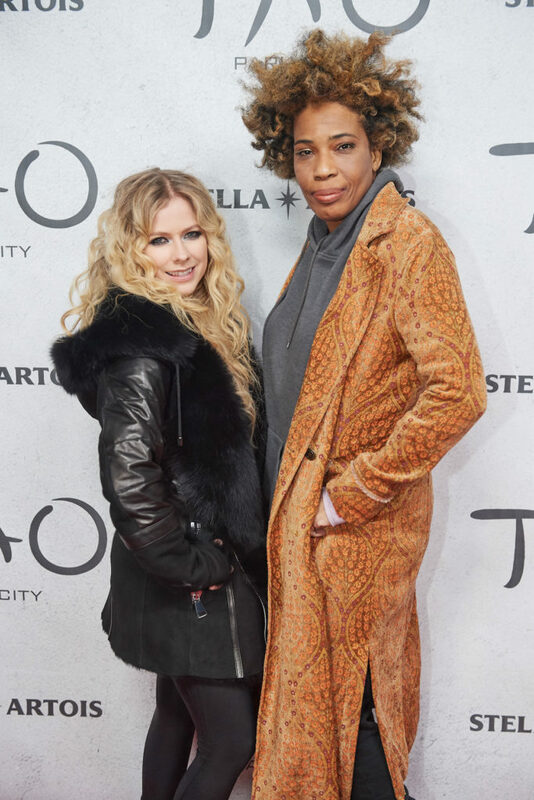 Guests clad in snow boots, over the knee boots, jeans, sweater dresses (and even a few braving the weather in mini dresses), and sweaters tucked under their puffer coats rolled to the exclusive party again. This time they joined Macy Gray, Avril Lavigne, and Paradise Hills costars Eiza Gonzalez and Danielle Macdonald (Danielle left her BirdBox blindfold at home though). The duo toasted to the fest over glasses of Moet & Chandon champagne. The party raged on Sunday night, with DJ Vice and Mel DeBarge playing more hits that kept guests showing off their moves wherever they found space on the dance floor all night. Tao Park City, thank you for making our Sundance one to remember once again.